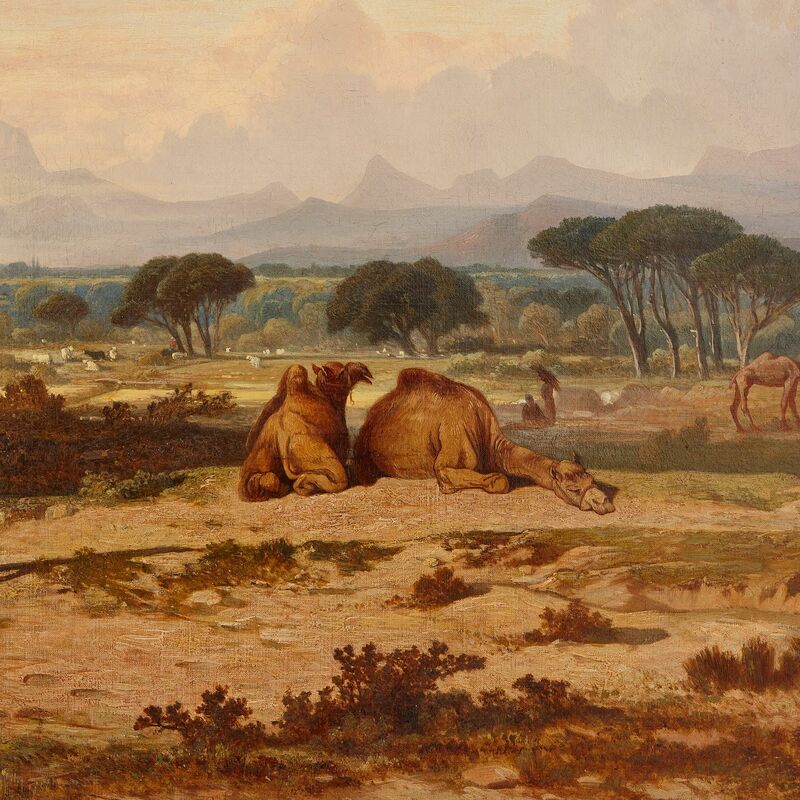 This beautiful, tranquil scene of camels relaxing in a landscape was painted by the distinguished 19th Century Belgian Orientalist painter, Charles Lefebvre. This large painting depicts a landscape, with a pool of water in the left foreground, and sandy bank on the right, leading away into the distance. 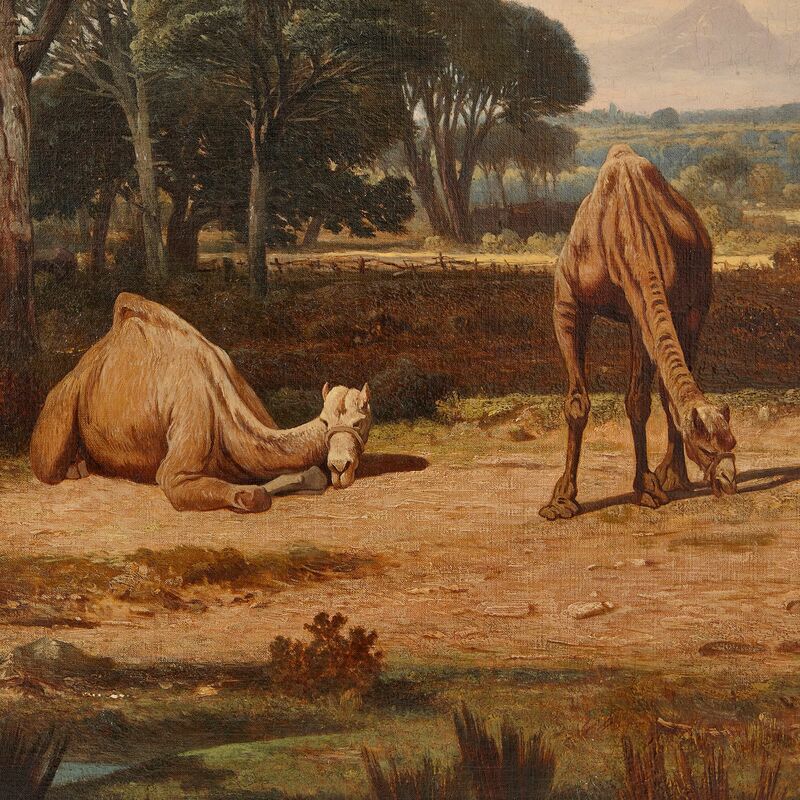 On the bank, a group of camels lounge, one standing and the rest lying down. There is a cluster of tall trees on the left-hand side of the canvas. 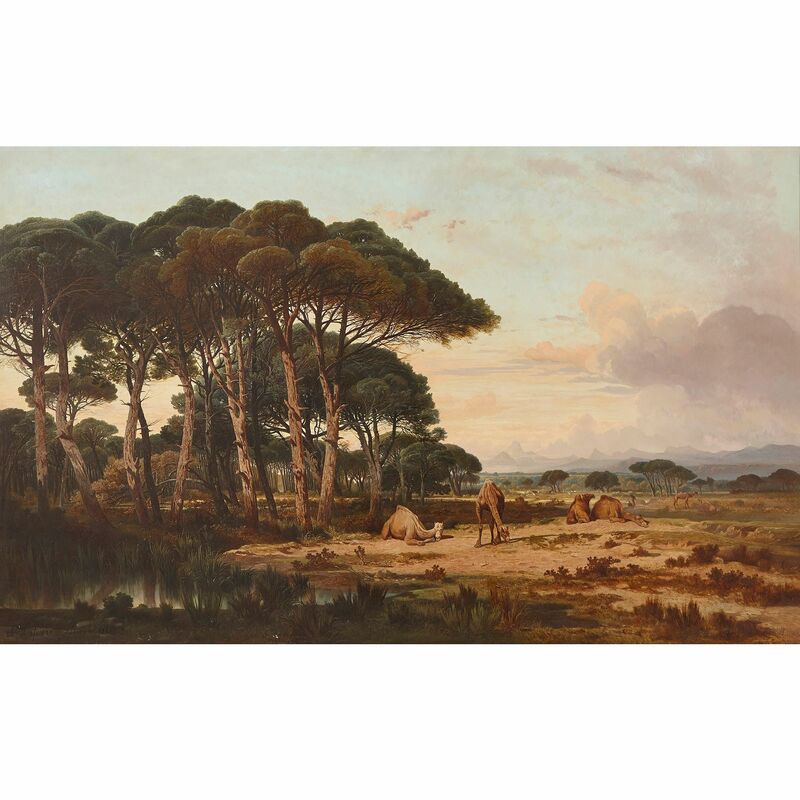 The trees gradually diminish in scale as they move closer to the vanishing point on the composition's horizon line. The trees help to convey depth, and give an impression of the vastness of the natural landscape. In the distance, the blue outlines of mountains, engulfed in the clouds, are just visible. The painting also brilliantly moves from a dark foreground to a much lighter distance, again conveying perspective. The scene has been masterfully painted using short, well-blended strokes of muted, earthy colour. 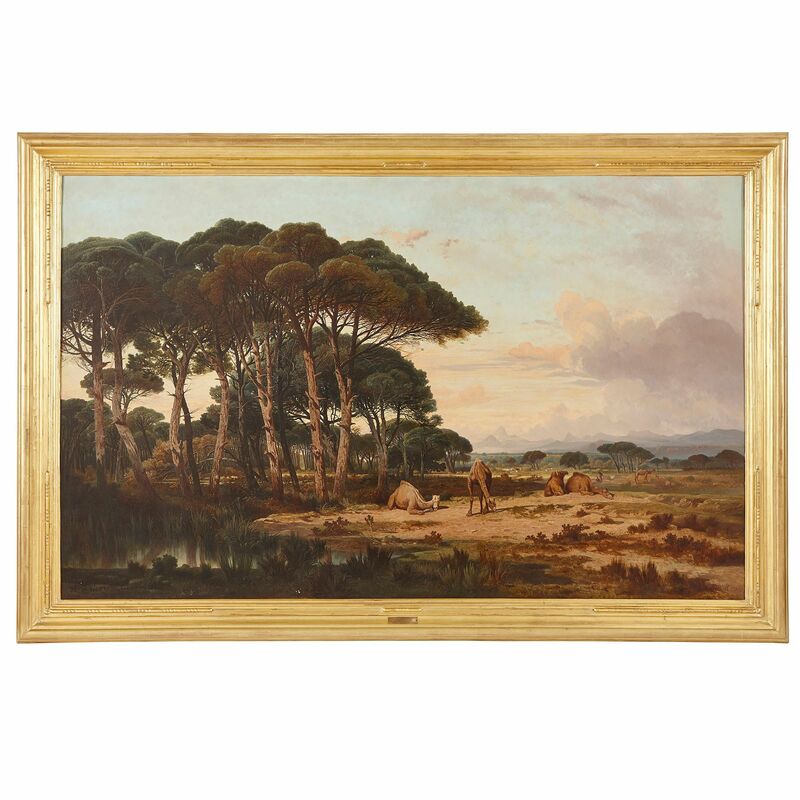 This has enabled the artist to paint in a highly naturalistic style. The bark on the trees, and the trunks' reflections in the water, for instance, have been rendered with great accuracy and in remarkable detail. 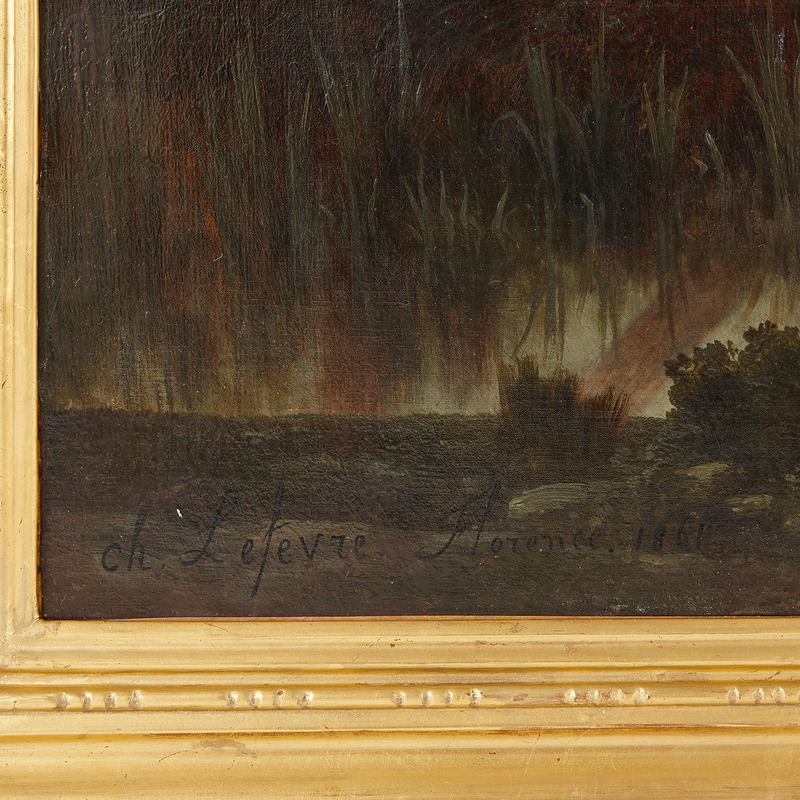 The painting is signed and dated 'ch. 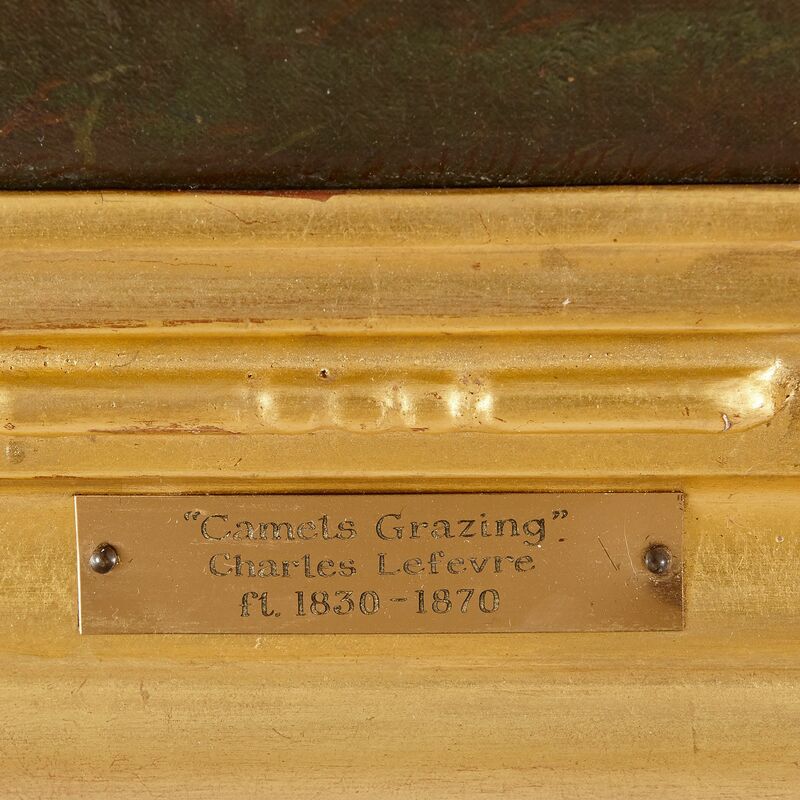 Lefevre / Florence / 1861' to the lower-left corner of the canvas, and is housed in a gilded frame, which complements the earthy tones of the composition.